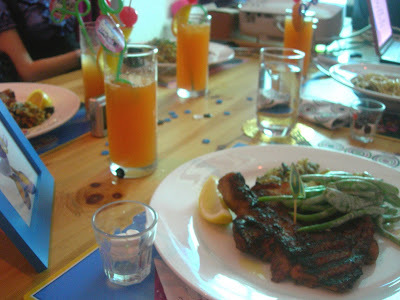 A few weeks ago, I received an online invitation to a dinner Party by Playhouse Disney at Bjiou. I had never received such an invitation before (from someone I didn't know), so I was a bit wary. I later discovered that Best Buds magazine's editor had told the organisers about me, and so with that sorted out, I looked forward to the evening of March 19th. I made my way to Bijou from work by taxi, and was one of the early ones to arrive. 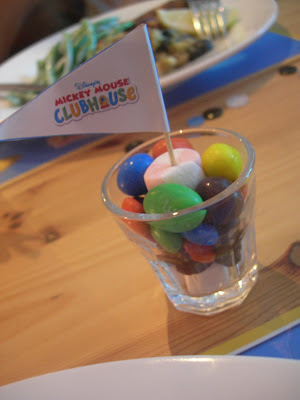 Like me, I think most of the mummy bloggers there had apprehensions about the event, but that quickly dissipated the moment we met the lovely people from IN.Deed Communications and Playhouse Disney. With goody bags in hand, we took our seats at the table and started to get to know each other. 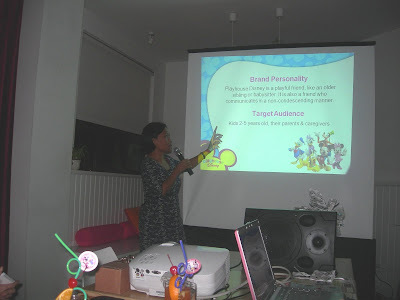 As we had our main course, Mai from Playhouse Disney gave us a presentation on the channel's brand name, promise, personality and key attributes, as well as the show formats. 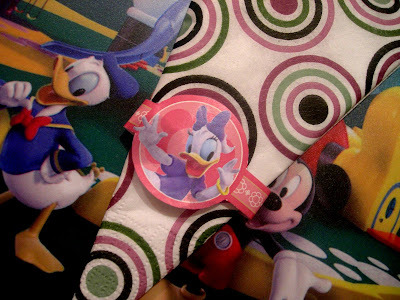 Why, if it isn't Ms Daisy Duck! Mai from Playhouse Disney Singapore giving a presentation. Dessert :) Boy, that espresso packed a punch! Bloggers hanging out at Bijou. Incidentally, Bijou restaurant is co-owned by Debbra Lee, founder of Fit For 2 studio. I wrote an article about her and her studio for Mother & Baby magazine back in March 2009! It was a wonderful evening and I met lots of wonderful people, including Merryn of Crafty Crafted Studio, Zaid Mohamad of SmartParents and Hanz of The Honey Bunch. Please do check out their blogs :) Thanks very much to the organisers for inviting us! It was fabulous! 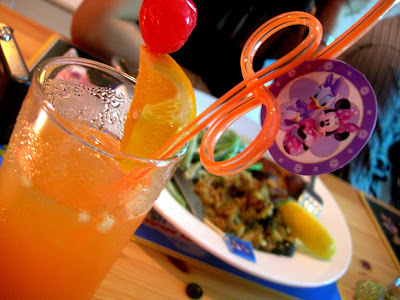 PS: I'll be writing about Playhouse Disney, Bijou restaurant and my fellow bloggers on Writing by Moonlight and Venusbuzz.com soon, stay tuned for that! Cheers! 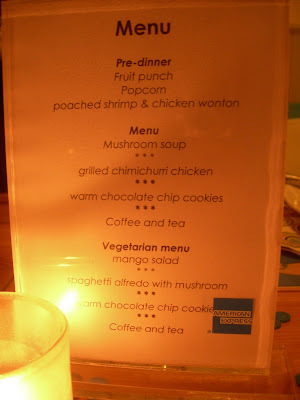 Hi Adlene, it was so nice to meet u and other parent bloggers last night. Nice pictures by the way. Care to share what camera did u use? Perhaps I'll be needing one compact cam soon :) Take care. And thanks for dropping by prince n princess mum, it was a very memorable evening indeed.